What are the arguments for and against religion and religious belief - all of them - right across the range of reasons and motives that people have for being religious, and do they stand up to scrutiny? Can there be a clear, full statement of these arguments that once and for all will show what is at stake in this debate? Equally important: what is the alternative to religion as a view of the world and a foundation for morality? Is there a worldview and a code of life for thoughtful people - those who wish to live with intellectual integrity, based on reason, evidence, and a desire to do and be good - that does not interfere with people's right to their own beliefs and freedom of expression? In The Case Against Religion, Anthony Grayling offers a definitive examination of these questions, and an in-depth exploration of the humanist outlook that recommends itself as the ethics of the genuinely reflective person. 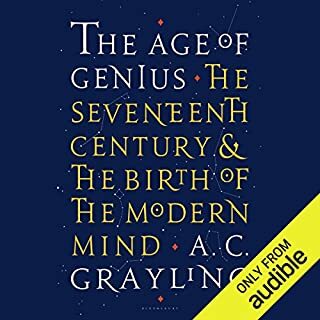 ©2013 A. C. Grayling (P)2013 Audible Inc. This book is full of contradictory arguments. arguing for morality and ethics from an extremely bias and hatred towards religion. 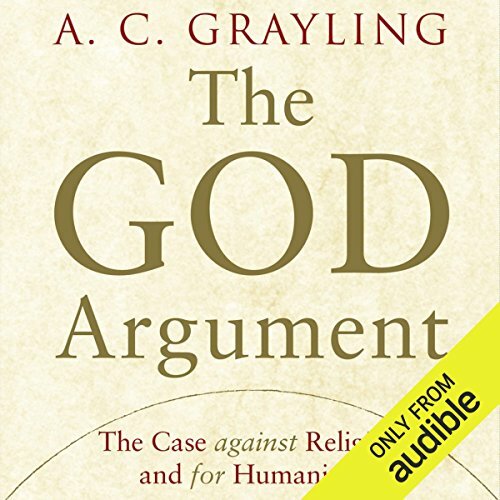 Admirably written and expertly narrated, The God Argument makes for very good listening. As a case for Humanism and against belief in gods, it excels. Good perspective, insightful, and educational. The reader performance was entertaining too. A good reference for better understanding humanism and the argument for independent and critical thinking. This books is at its best when quoting other works. Extremely repetitive. The half on humanism wanders and gets unnecessarily side tracked with dubious arguments. What disappointed you about The God Argument? I agree with most, if not all the ideas in this book. But the way this is written is pompus, repetitive and boring. I picture the author with a thesaurus on one side of the desk and a bottle of sedatives on the other. It's an exercise in trying to complicate ideas with unnnecessary vocabulary while at the same time striving to be boring and tedious. What was most disappointing about A. C. Grayling’s story? As if the content of this book wasn't bad enough, the narrator chosen delivered it in such a way as to amplify the arrogance and tedium to it's maximum level. Listening to this book is like being cornered at a party by the most boring, arrogant , self-proclaimed intellectual in the room. Skip this and read Dawkins, "The God Delusion" instead. 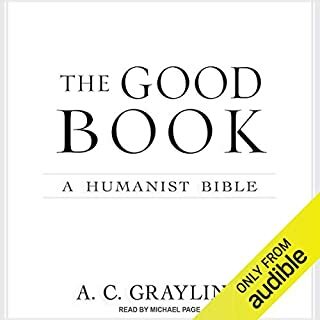 Admirable as are other recent texts on atheism, this provides altogether remarkable clarity and thought with an admirable description of humanism and the good life. Thought Provoking. As I learn these arguments i become hesitant in using them with religious individuals. Read with an open mind and curiosity. Exposing the so called contradictions (flaws) of religion, A. C. Grayling argues for the superiority of humanism, whose central notions, he believes, can establish an ethics system based in human will, potentiality and contingencies. An ethics system based on religion's notions is inferior, because it ignores human potentialities and produces violence. The book is well written. The author expresses his ideas in a simple and understandable language. The matter is fascinating and controversial. One wonders if the author succeeded in making his case. I enjoyed this book very much. So much I'm on my third re-read! Absolutely through and in my opinion a must read for free thinkers. Not what I was looking for but interesting. 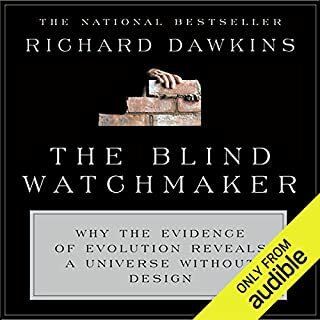 I was hoping for a more scripture by scripture debate against Religion, which this book contains a few examples of, but spends much more time describing how logic works and how to form a logical argument. It goes off on many tangents far from theology, and has many good arguments which I either agree with or are at least thought provoking. The one exception that stands out is the argument that anyone that would get addicted to drugs already is, and if all drugs were legal then people could use cocaine or heroin casually without repercussions. I don't think casually use of a life destroying substance like heroin could exist. Aside from that, I enjoyed the book, although it is defiantly not a light read. 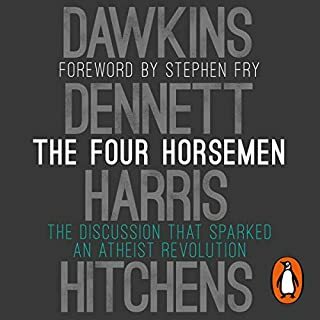 While this book gives a good overview of Humanism and it's arguments for anyone who is interested, it's optimism regarding the ability of Atheism, Humanism and Secularism to unite the world where religion has divided, belies an author blissfully or perhaps wilfully ignorant of Atheism+ and Social Justice, or of the various Communist revolutions for that matter. These unfortunate movements represent a living, breathing argument against his position that I do not feel he sufficiently addressed within the text. Good content well put. Some arguments a bit difficult to follow listening to audiobook, definitely one to be concentrating on. Arguments for humanism started on the assumption that we all want 'the good life' for ourselves and other people - I wish he had covered the reasons why. ie 'without religion, why do good at all? Why want anyone to be happy?' Of course he quite rightly pointed out that being good to others because you want to is much better than being good to others for fear of punishment by a deity. Yes because having discovered Humanism myself and dumping the fears imposed by organised Religion I'd like others to discover what I have....and importantly THINK about it and for themselves. God is an interesting character but hardly a favourite. 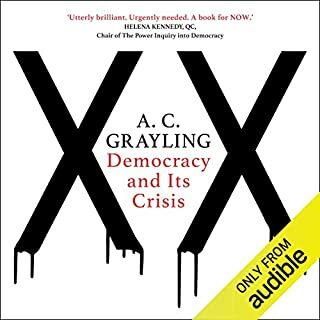 It was fine but wish AC Grayling would read his books...he has such a great speaking voice as can be seen on You Tube. Most gods are monsters...if you read about them. 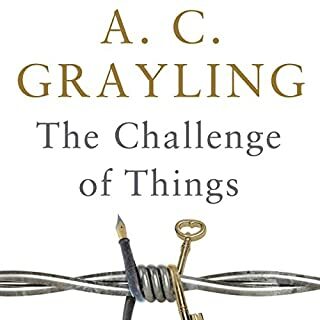 Razor sharp insight as one would expect from AC Grayling - an excellent book. The narration leaves a lot to be desired. My theory is that the narrator was given the wrong script at the recording studio and read Gayling's book rather than the Flintstones cartoon he was hired to do. Buy the paper book not the audio version. Love the subject but the voice really really grates. Irritating. I can't abide that sort of voice even more so for an audiobook. What was one of the most memorable moments of The God Argument? Was The God Argument worth the listening time?